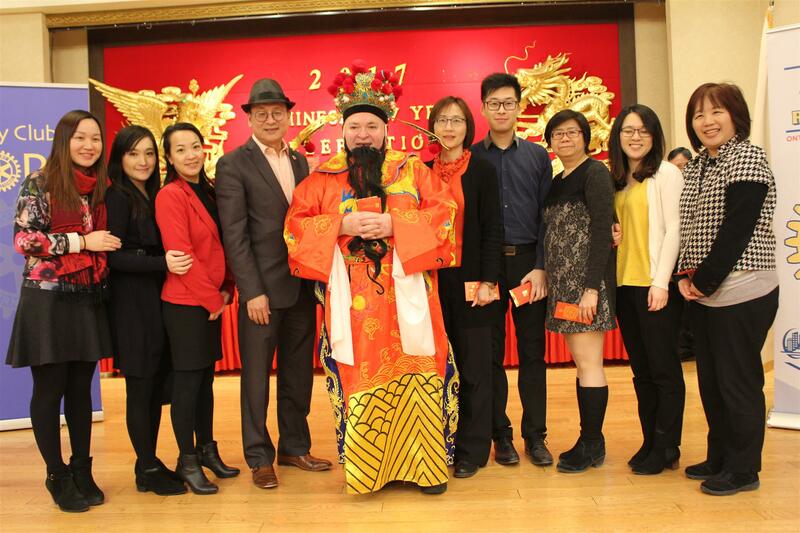 It's time for our annual Chinese New Year Celebration! 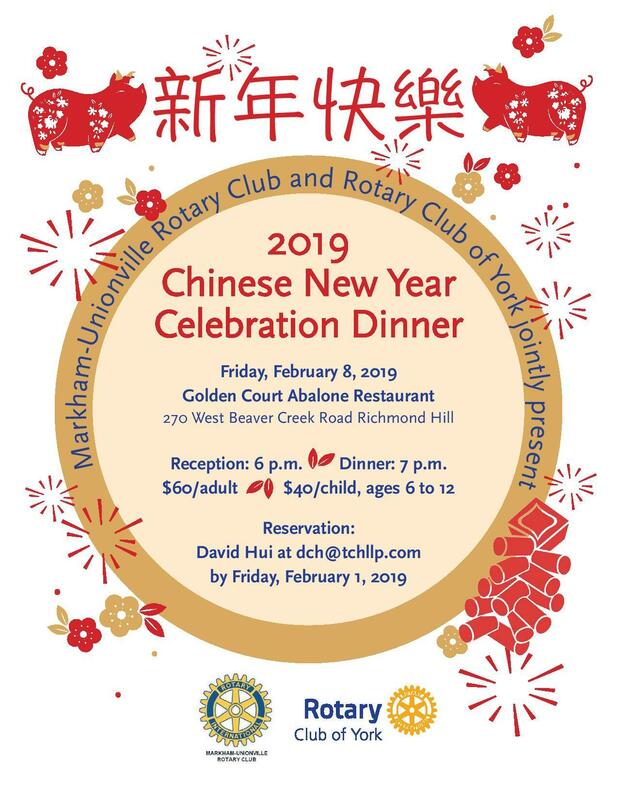 Join us at the Golden Court Abalone Restaurant at 270 West Beaver Creek Road (Richmond Hill) on Friday February 8, 2019. Dinner is $60 per adult ($40 for children 6 to 12). Reception at 6 pm and dinner at 7 pm. Reserve your spot by contacting the email on the poster. Rotary Club of York was proud to support the work of the Culture Regeneration Research Society CRRS. Thanks to our members volunteering in the "Out of the Cold" program. We have two dates in January booked to go as a group. Rtn David How is coordinating this year's volunteering program. A reminder that our first Regular Meeting of the new year is scheduled for Tuesday January 8th, 2019. To facilitate booking with the restaurant, we would appreciate a reply by Sunday January 6th, 2019 if you plan to attend the meeting or not. Your support and participation are essential to the Club. Thank you for another wonderful year of Rotary! Please take a moment to view our Christmas Celebration 2018 photos! This year's Annual General Meeting (AGM) is scheduled for Tuesday December 4th, 2018. Please mark on your calendar and plan to attend. It will be held at the regular venue Tasty BBQ Chinese Restaurant from 7:30 to 9:30 pm. At the AGM, the election of the Board of Directors (BOD) for 2019-2020 will be held. Attached is the Nomination Form for your use. The last day to submit nominations is November 15, 2018. Once the nominations are confirmed, the list of candidates will be announced by November 26, 2018. Advanced voting and proxy voting will be available to members who cannot attend the AGM. The final voting will be completed at the AGM to elect the next BOD. We usually have fun doing this. If you have any questions regarding the AGM and the election process, please let me know. Hope to see many of you at the AGM. Thank you. The next Regular Meeting of our Club will be on Tuesday November 20th, 2018. We have Rotarian Debbie Howes as the speaker. She will be talking about her new book and being a Rotarian. Debbie is a lawyer and had previously given us a presentation on family law. To facilitate booking with the venue, please reply by Sunday Nov. 18th if you plan to attend this meeting or not. Your support and participation are essential to the Club. The next Regular Meeting of our Club will be on Tuesday November 6th, 2018. The District Governor, Mary Lou Harrison, will be visiting our Club and she will deliver her message from the District as usual. Please come and meet the District Governor and show our support for Rotary. To facilitate booking with the venue, please reply by Sunday Nov. 4th if you plan to attend this meeting or not. Your support and participation are essential to the Club. The next Regular Meeting of our Club will be on Tuesday October 23rd, 2018. We have a speaker from L'Arche Canada Foundation which is a non-profit charity, committed to transforming the lives of intellectually disabled people in the communities across Canada. Debbie Howes from the Markham Unionville RC will visit our Club as well. To facilitate booking with the venue, please reply by Sunday October 21st if you plan to attend this meeting or not. Your support and participation are essential to the Club. The next Regular Meeting of our Club will be on Tuesday October 9th, 2018. We have a professional photographer as a speaker. He is John from the John & Veronica Photography. He'll be speaking, naturally, on photography. To facilitate booking with the venue, please reply by Sunday October 7th if you plan to attend this meeting or not. Your support and participation are essential to the Club. Thank you to RCOY Rotarians who participated in this morning's Rotary Foundation Walk at the McMichael Art Gallery. RCOY contributed 15 members, family and friends to the over 260 who turn out for the walk, despite the cold weather. Thanks to Rotarian Charles Chee for leading this year's participation. Our guest speaker this week will be District Governor-Elect Beth Selby. 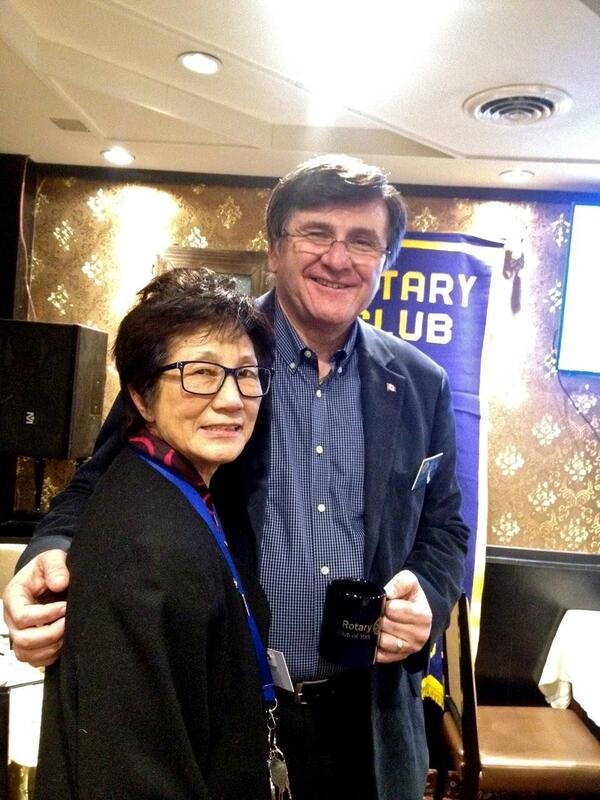 We will also be joined by Rotarian Raffe from Richmond Hill Rotary Club, and Rotarian Sonya from Oshawa Parkwood Rotary Club to speak about District 7070 Rotary Friendship Day in Oshawa. 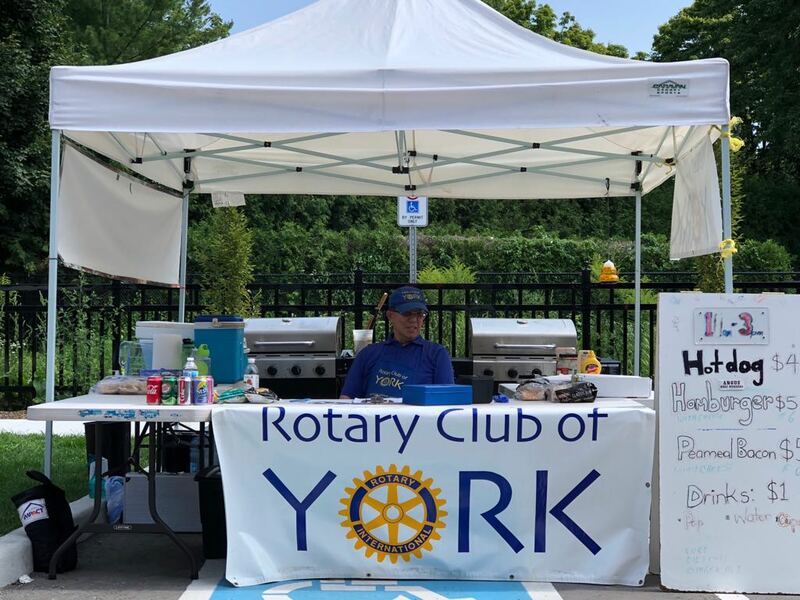 It's Sunday, which means Rotary Club of York is back at the grill at the Unionville Stiver Mill Farmers' Market, at 9 Station Lane, Unionville. Another great day at the Unionville Stiver Mill Farmers' Market on Main Street in Markham. Stop by to say hi and grab a burger! Our guest speaker tonight is Ariel Neuer, an experienced litigation lawyer specializing in IP law. The topic of his talk will be, "How to prevent and weather the storm of litigation." Looking forward to seeing everyone tonight. Summer Sundays mean a family trip to the farmers' market! 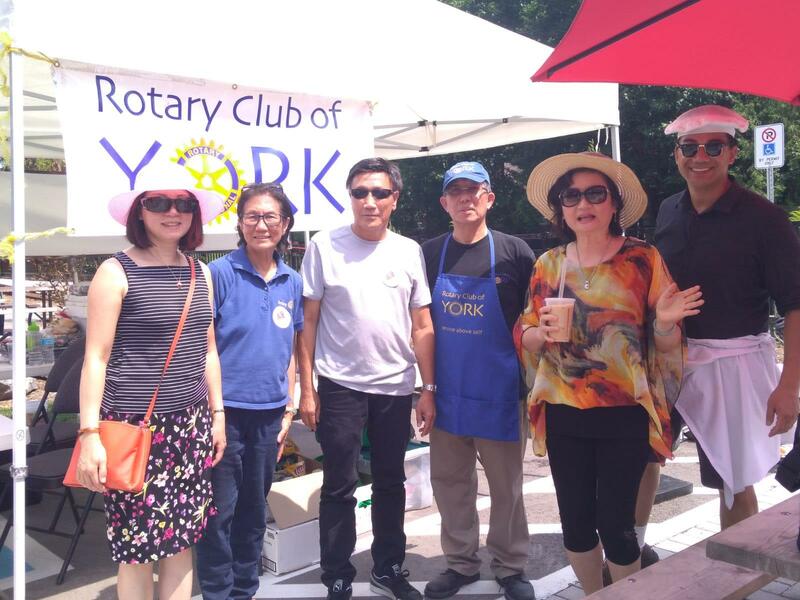 Visit Rotary Club of York each Sunday at the Unionville Stiver Mill Farmers' Market on Main Street in Markham. Find us at the grill! 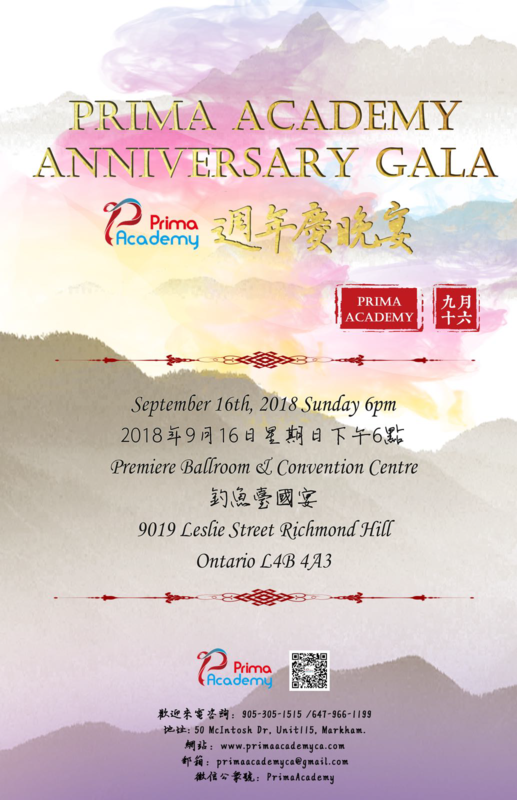 "You are cordially invited to my singing school gala event!" Rotary Club of York photos from the Rotary 2018 Toronto convention are now up! We are pleased to welcome our fellow Rotarians from around the world to the great city of Toronto for Rotary Internationals annual conference. Members and friends of the Rotary Club of York took part in the official handover meeting this evening. As May comes to a close, we'd like to recap some activities and events during the past month. 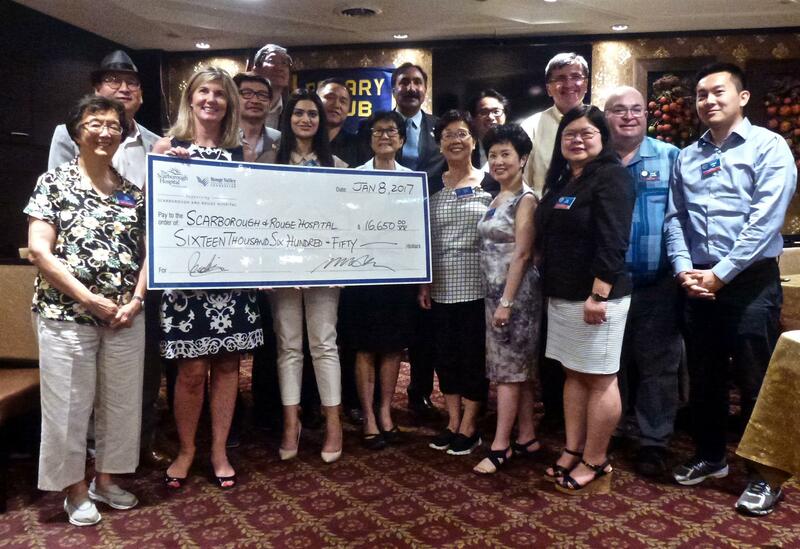 Rotary Club of York, in partnership with Rotary International District 7070, Rotary Club of Agincourt, Rotary Club of Markham Unionville, Rotary Club of Toronto East, and Sunrise Montessori School, was proud to raise more than $13,000 in donations to Autism in Mind (AIM) Children's Charity. At our AGM this evening, a new board for the 2018-2019 term was elected. 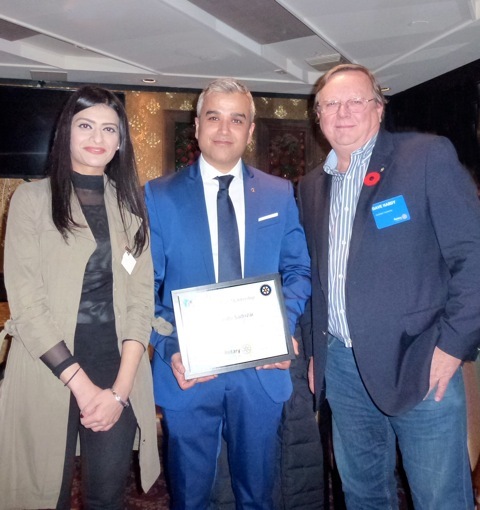 Our Rotary Club is proud to sponsor the Literacy Award at Ryerson University's School of Early Childhood Studies in the Faculty of Community Services. The scholarship is awarded to one undergraduate student in the School of Early Childhood Studies, in the full-time or part-time program, who has demonstrated academic excellence and leadership in promoting literacy in the community. Pictured: Ms. Jenny Cao, this year's recipient of the 2017 Rotary Club of York Literacy Award. Our next regular meeting is Tuesday November 21, 2017. A summary of our visioning plan will be presented. This evening we formally inducted our newest Rotarian, Armando Sadozai. Congratulations on joining our fellowship! You are invited to hear Phymean Noun, a Canadian activist for Cambodian children and founder of the People Improvement Organization speak at our regular meeting on Sept 5th. This evening, we welcomed Mr. Dave Hardy, Assistant District Governor for District 7070. A reminder to all members that the previously re-scheduled August 3rd meeting has been postponed to a later date. Our speaker will join us in September when members return from summer holidays. 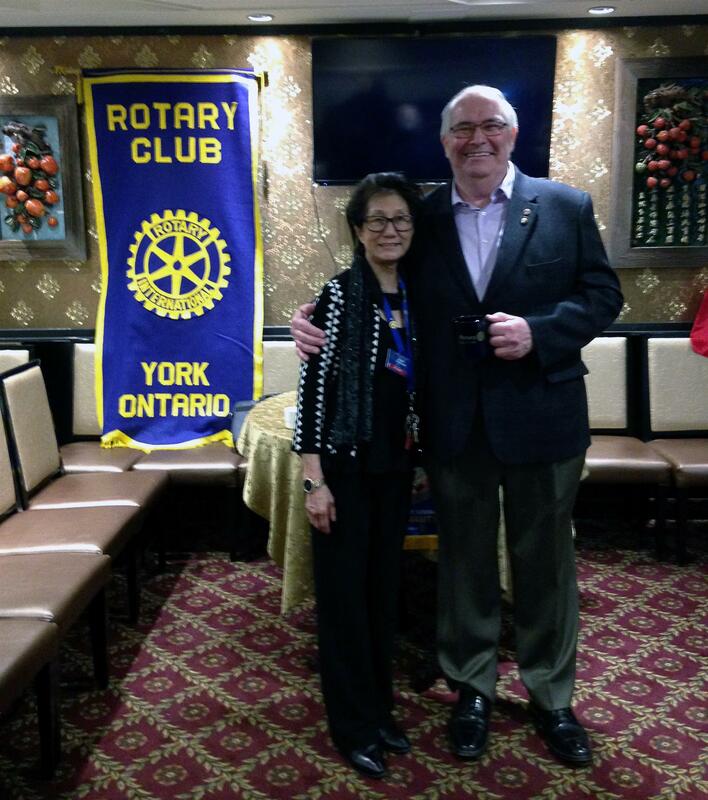 The Rotary Club of York with Michelle Varela, from the Scarborough Hospital Foundation. We were pleased to officially present our donation to the Scarborough Hospital & Rouge Valley Foundation for their newest Bridletown project supporting Scarborough residents. 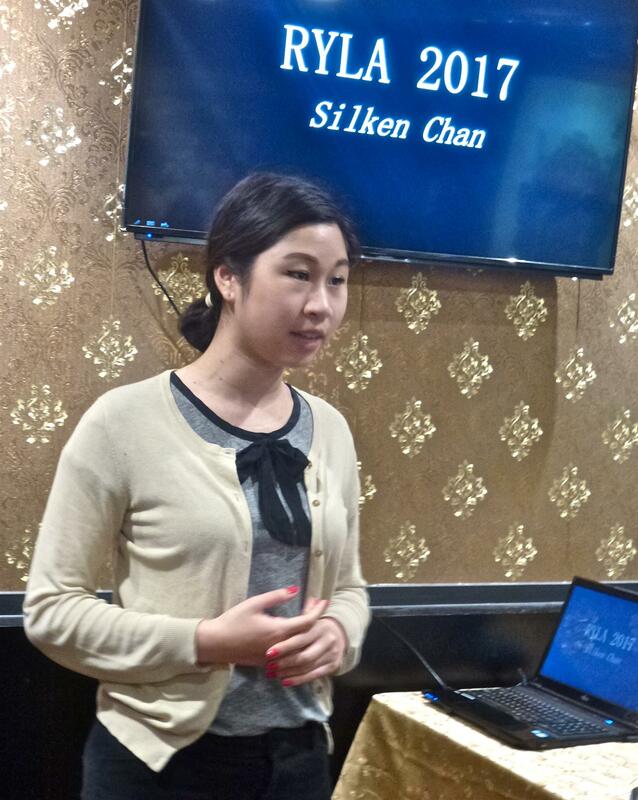 This evening we were pleased to welcome back our 2017 RYLA candidate, Ms. Silken Chan, to speak about her recent experience at the leadership retreat. This evening we will hold our special Hand-over Meeting to transition from 2016-2017 to 2017-2018. The new board of directors will be welcomed in. 2016-2017 Rotary Club of York President Mandy Cheng-hui speaking at the RCOY 15th Anniversary Gala. Pictured with President Mandy is incoming RCOY President, Ms. Hadia Raheel. 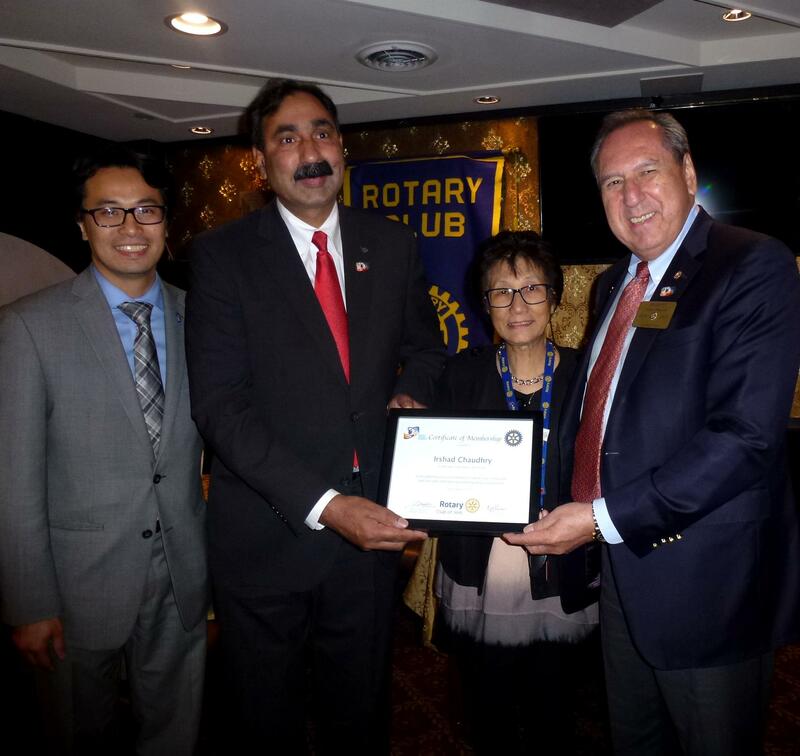 This evening we welcomed our newest Rotarian, Mr. Irshad Chaudhry. This evening, Rotary Club of York visited the PACT Urban Peace Program at the David Wilson Memorial Park behind John Polanyi CI in North York. This evening we were pleased to welcome Mr. Neil Redley from the University of Ontario Institute of Technology. Earlier this week, over 20 student members were inducted into the Interact Club at St. Theresa of Lisieux Catholic High School. 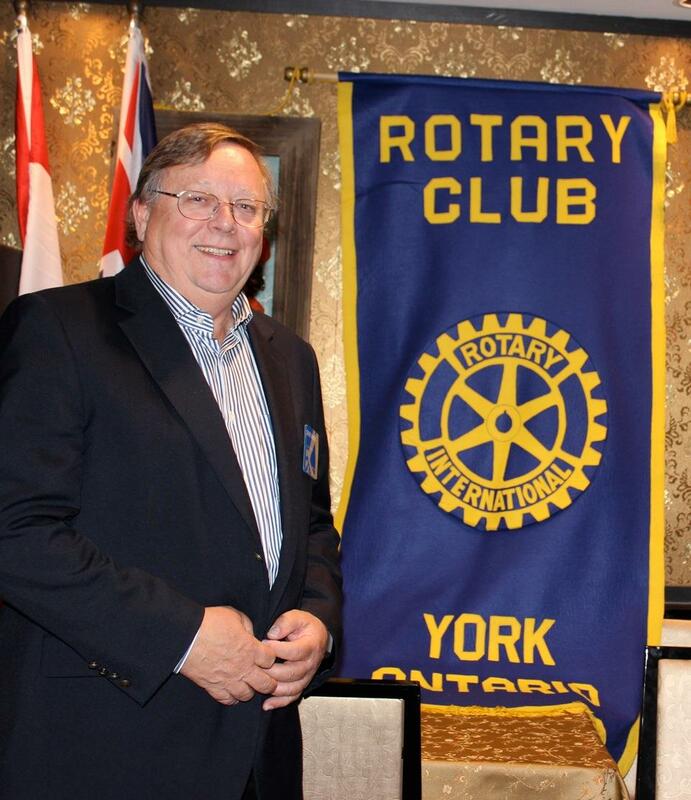 The club was chartered in the 2014-15 school year with a sponsorship by the Rotary Club of York. We were pleased to join Principal Joseph Servidio in presenting the new club members. Just a quick note to all members that our next scheduled meeting will be on May 23rd, 2017, and NOT May 16th. Secretary Gerald will send a reminder notice closer to the date. Please update your calendars accordingly. Thank you. Rotarians Mandy, David C., and Costas at the RLI Training session on April 22, 2017. Tonight we were pleased to welcome Mr. Jason Leung, JD, PMP, to speak about intellectual property rights. Mr. Leung is the Principal of LeungLaw PC in downtown Toronto, and specializes in business and intellectual property law. He holds a Juris Doctorate from the University of Toronto, a Project Management Professional designation, and is a registered agent for trademarks and patents. 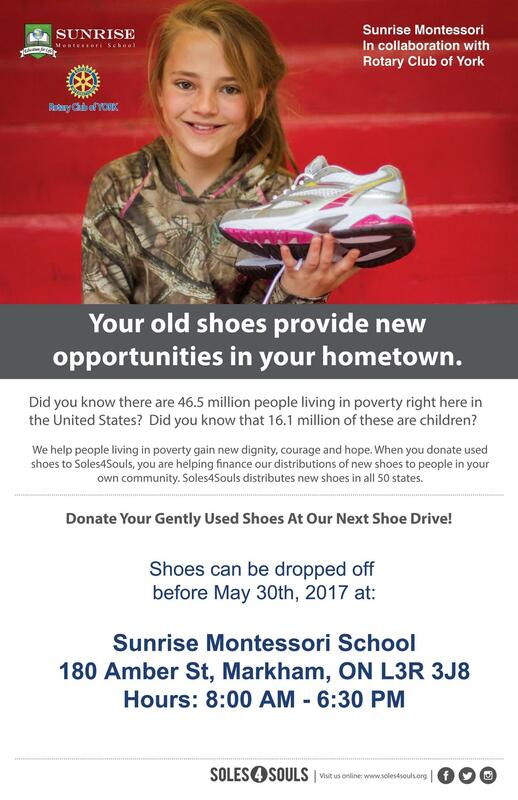 We've partnered up with Sunrise Montessori School and Soles 4 Souls to donate gently used shoes to those in need. 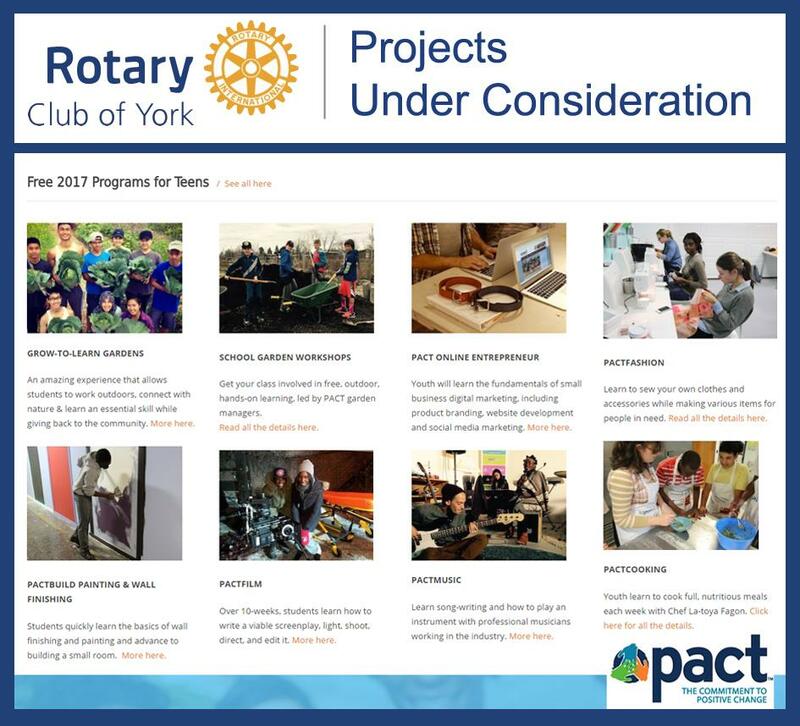 Rotary Club of York has been approached by PACT Urban Peace Program for a sponsorship opportunity. 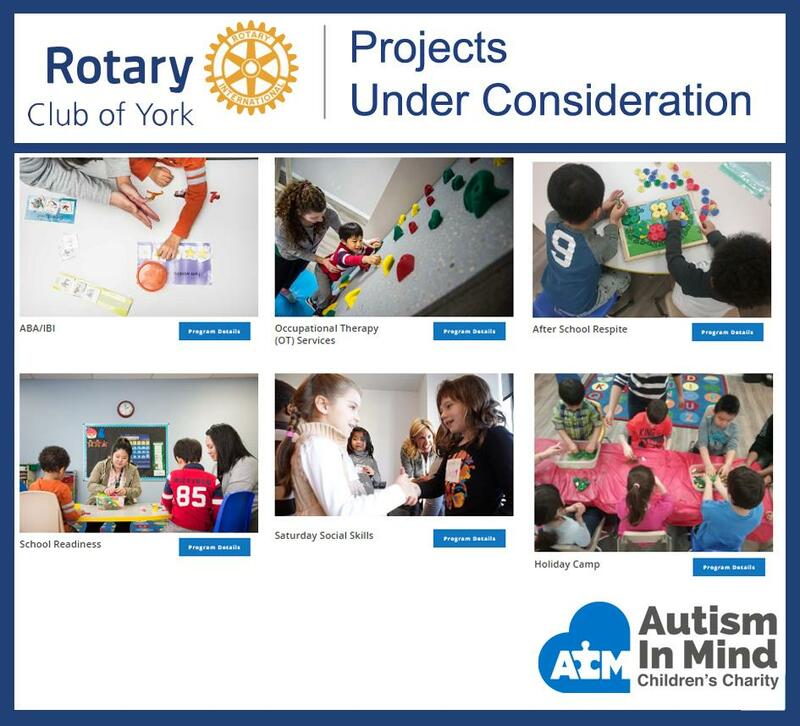 Rotary Club of York has been approached by Autism in Mind (AIM) for a sponsorship opportunity. Rotary Club of York is proud to partner with the Free Reading Program to bring literacy resources for children online. Find our more about this free program here. Tonight we were pleased to welcome Mr. & Mrs. Mike Phelan to our Rotary Club meeting. Mr. Phelan is an old friend of the club and a Past District Governor of District 7070. This evening we welcomed Mr. Gem Munro from the Amarok Society (amaroksociety.org) to speak about his charitable project in Bangladesh. 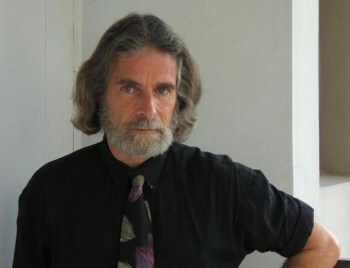 Mr. Munro and his wife, Dr. Tanyss Munro, founded the Amarok Society to provide basic language and civic history education to poor women in Bangladesh. The country is one of the world's most densely-populated countries in the world, with 162 million living in just 144,000 square kilometres of land. Poverty is reportedly wide-spread*, with many communities unable to provide basic literacy, math and social studies to their members. Our very active club is always looking for ways to bring awareness to our many initiatives. We recently re-designed our club website (rotaryclubofyork.org), and can now announce the launching of our Facebook Page and Twitter Feed! Be among the first to "like" or "follow" and you'll stay connected with our latest engagements. Members of our Rotary Club joined with fellow Rotarians of District 7070 in hosting a fundraising for Joe Roberts, founder of Push for Change. 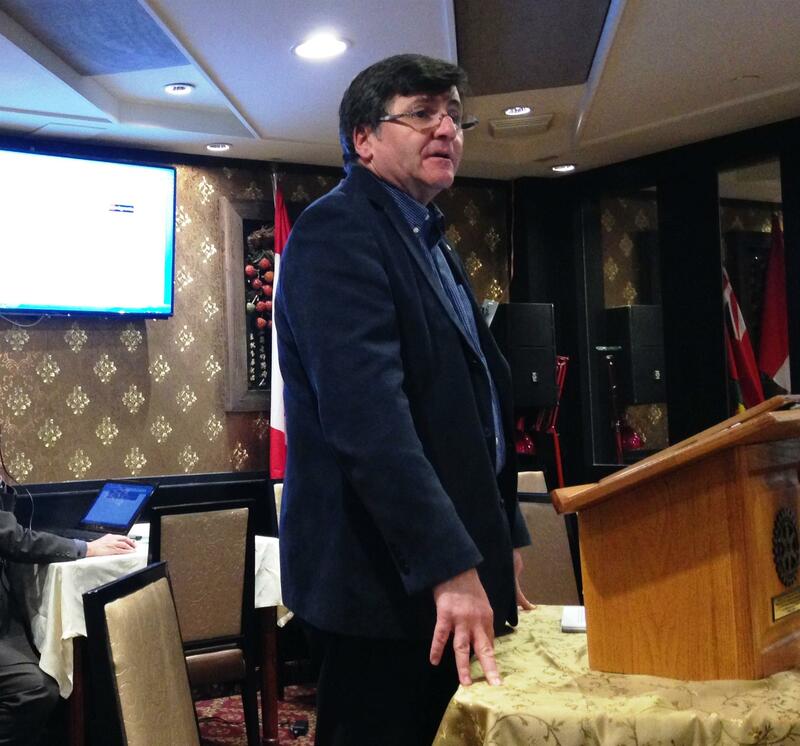 This week's speaker was our own Rotarian Costas Menegakis. Costas was elected to serve as a Federal Member of Parliament for Richmond Hill from May 30, 2011 to October 19, 2015. Upon appointment by the Prime Minister, he was the Parliamentary Secretary to the Minister of Citizenship and Immigration. 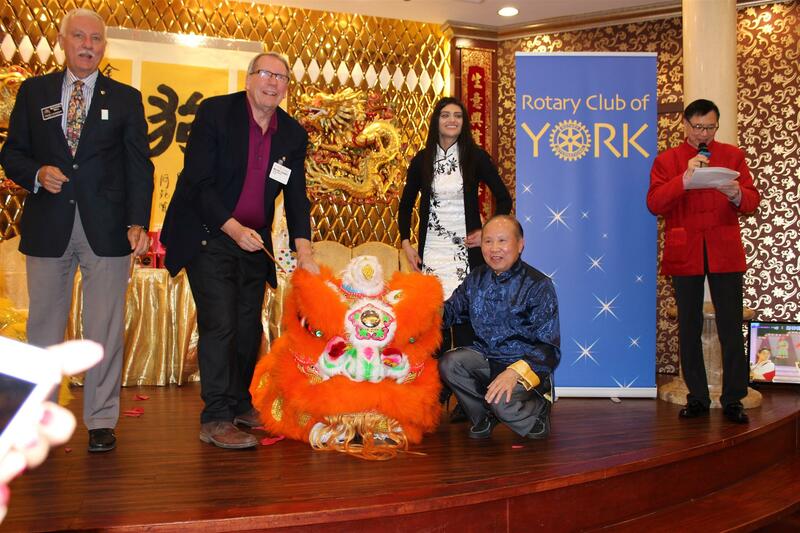 The Rotary Club of York welcomed the Year of the Rooster with a grand celebration at the Diamond Banquet Hall in Markham. 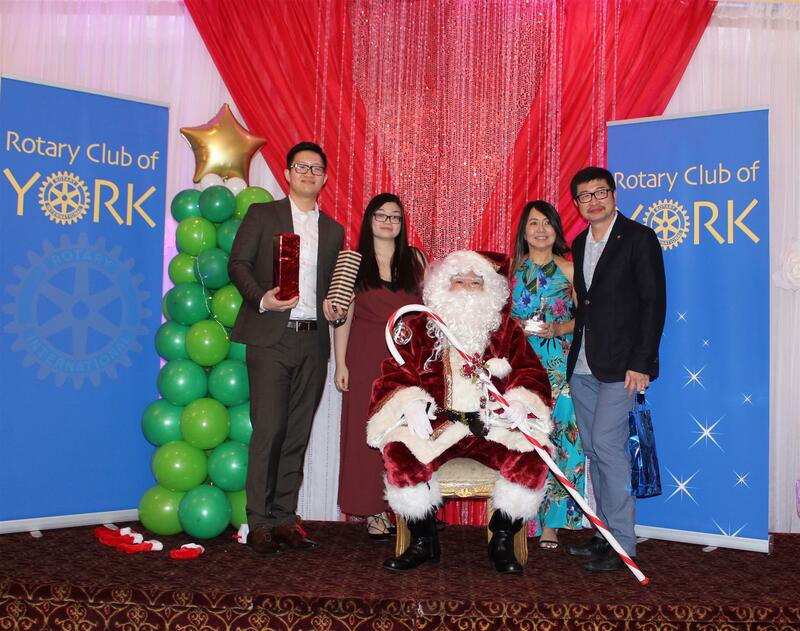 Merry Christmas to all members and friends of the Rotary Club of York! Thank you to everyone who joined us at our annual holiday party at the Dragon Pearl Restaurant. The Rotary Club of York was proud to celebrate its 15th Anniversary this Sunday at the Hilton Toronto/Markham Suites Conference Centre. 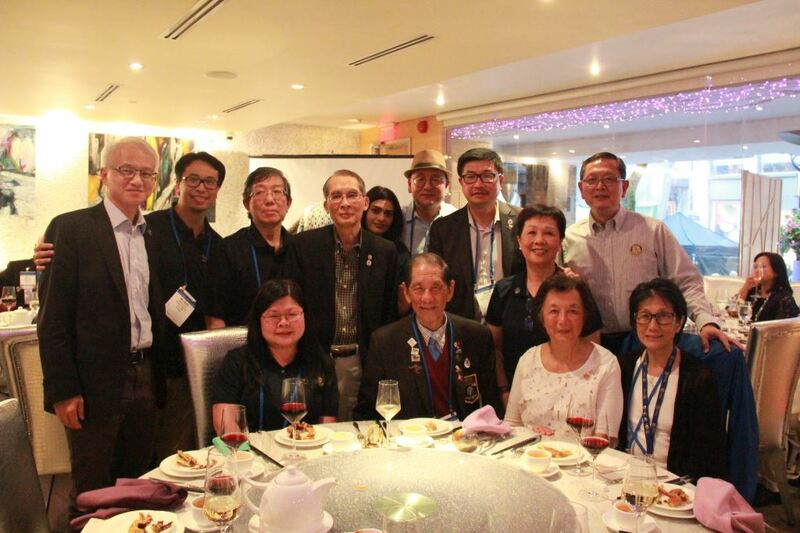 Rotary Club of York was chartered on June 28, 2001 and the charter members were inducted by RI President Richard King on August 10, 2001 at the Presidential Convention in Toronto. 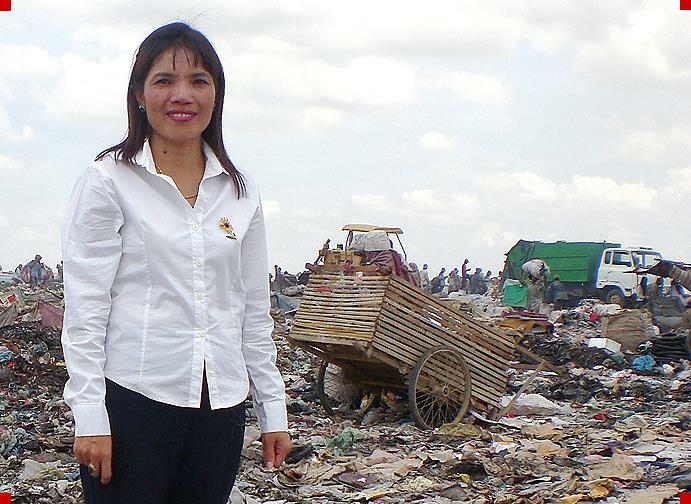 The picture of such event appeared on the front cover of the October 2001 Rotarian magazine, which became the talk in District 7070. 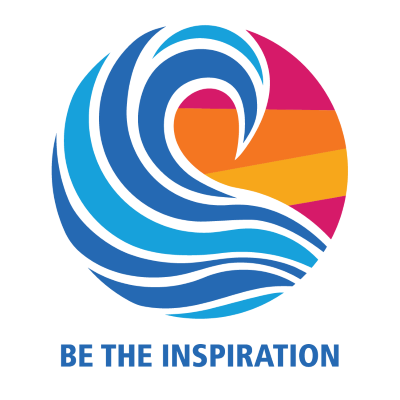 In 2000, District 7070, participated in the RI pioneer project of looking into new ways of running Rotary clubs in the millennium and innovative approach of resolving the problem of declining membership world wide, looked at the possibility of forming new clubs in ethnic communities. 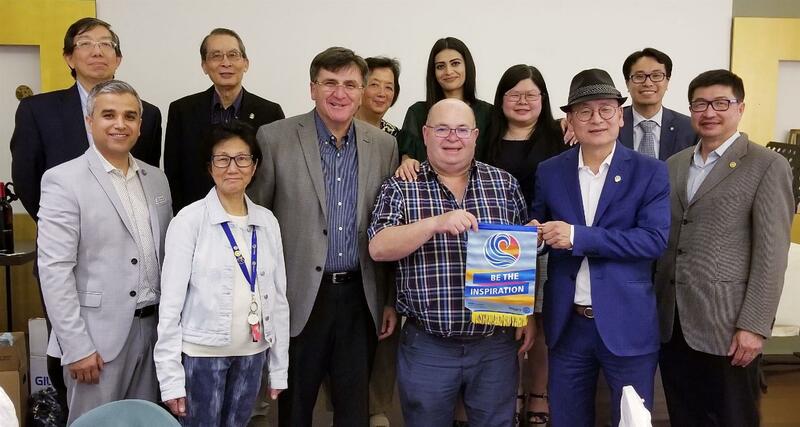 Past district governor, John Bertrand, encouraged Rotarian Margaret Wong, a Chinese lady Rotarian and PE of the Rotary Club of North York, to work in the Chinese community. She networked a close circle of friends and a steering committee was formed. 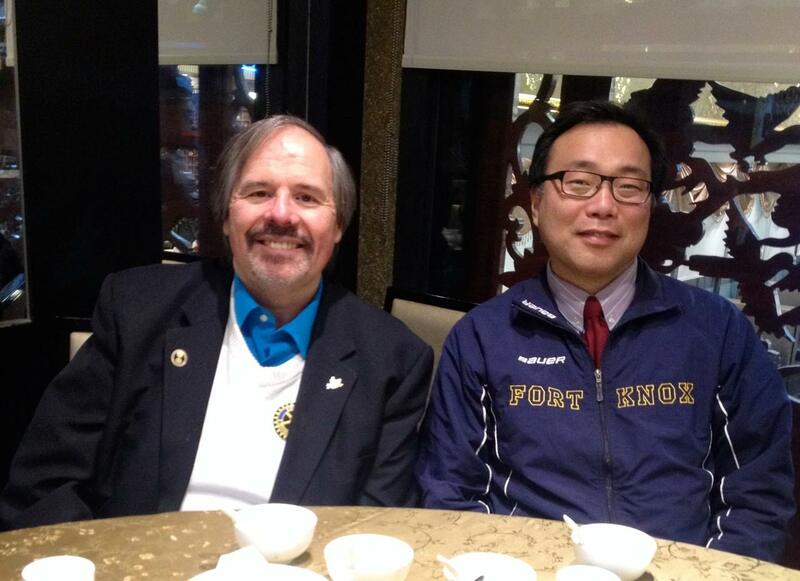 They met weekly to study the process of establishing a Rotary club among the Chinese community. In March 2001, the first official meeting of the Provisional Rotary Club of York took place. Ms Doris Au, an educator, was elected as the founding president. After having met all the requirements, the Club was chartered on June 28, 2001 and its members were inducted by RI President King in August. 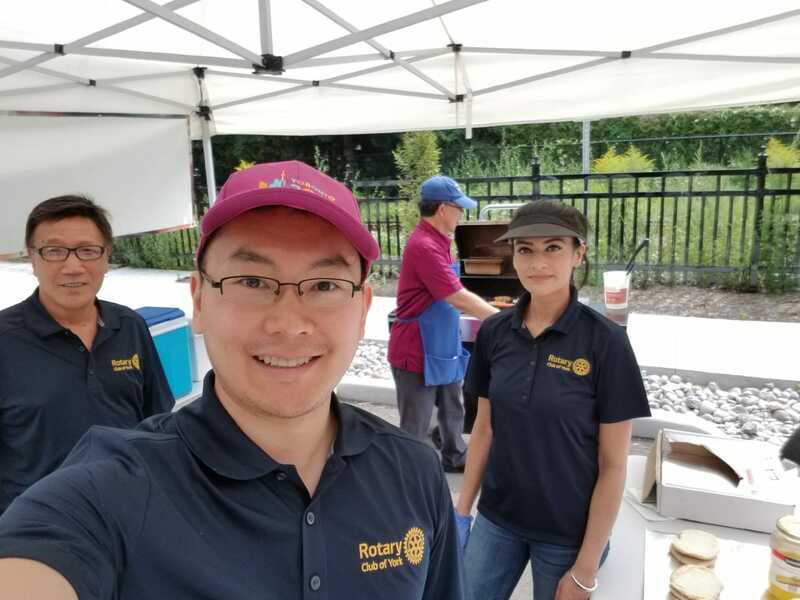 Second president, Paul Cheung, with his Board, helped lay the foundation and set the direction of the club now that Rotary Club of York (RCOY) was selected among more than 160 clubs in the world to participate in RI new model clubs project. 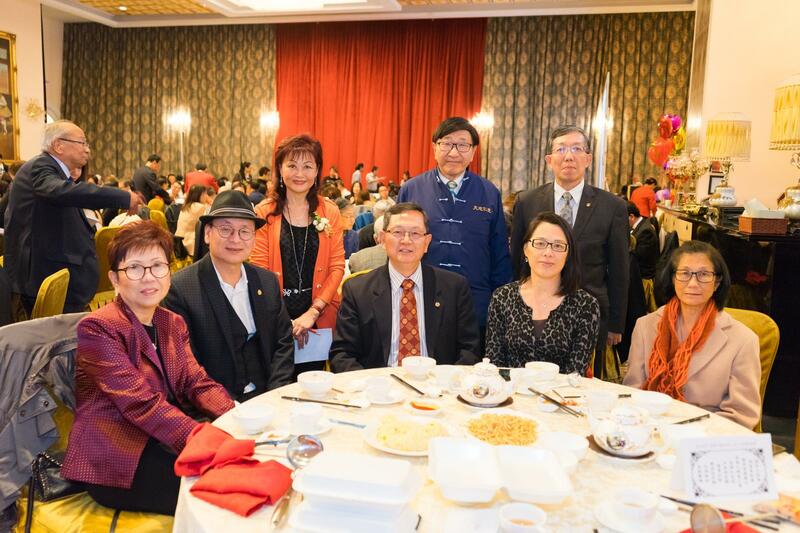 With support from PDG John Bertran and PDG David Ing (the first and only Chinese District Governor so far in District 7070) the Club progressed in double strides. New model clubs have been given a blank sheet to write their own constitutions and bylaws within the foundation and principles of Rotary. RCOY introduces a major change from the traditional clubs' meeting schedule. It holds its regular meetings twice a month—that is first and third Tuesday of each month—leaving the other Tuesdays for board meetings, workshops and committee meetings. RCOY also brings in other changes such as eliminating minimum age limit of club member, territory boundary and the number of membership within same professional classes. Initiated RCOY 4 Way Test Award, to be presented to a person or organization in the local communities for conducting/operating their business according to the highest ethical standards. Raised funds for Mosaic Interfaith Out of The Cold, programs which provide food and shelters for the homeless. Engaged many local schools and business enterprises to participate in our March book drive for “Rotary Educates Young Mind” literacy project in the Philippines. The project benefited over 1000 students. Sponsored The Kid, Cops & Computers program. This program encourages at-risk kids to succeed in technology.and education. Six kids benefited from our sponsorship. Participated at Bowl for Seniors, Heart & Stroke Sing For Your Heart Gala and Carefirst Annual Gala to raise funds for senior and community services. Participated in the University of Philippines Alumni Association Golf Tournament to raise funds to support academic research. Participated in the Trump AIDS Poker Walk at the Toronto Habourfront. 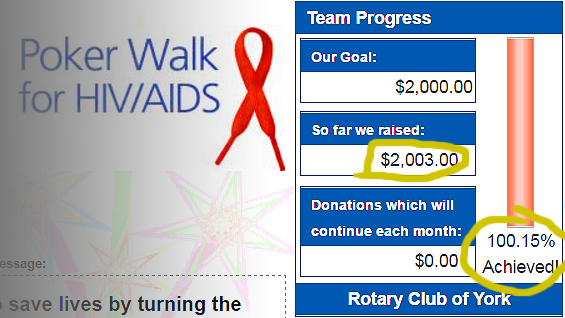 Our team, Royal Flush of York was among the largest teams and raised $1,635 to fight AIDS. Participated in Batteries Recycle campaign, a joint project with Ecowatch and organized “Batteries for Burgers BBQ event at the local Canadian Tire store to raise awareness of the importance of recycling batteries. Rotary Youth Leadership Awards program in Belleville. In the past ten years Rotary Club of York has been gaining recognition in the community and has built strong confidence among its members under the Rotary International themes—in sowing the seeds of love, lending a hand, serving above self, sharing and making dreams real—in the local and global communities.